There are styles in friendship as well as in clothes. 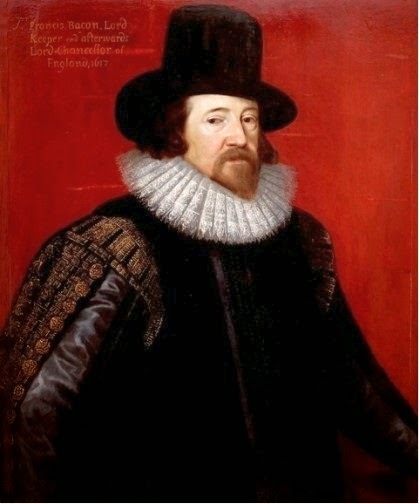 The mode of friendship of Bacon's time went out with plumed hats and long hose. But Bacon knew the true test of a friend. IT had been hard for him that spake 1 it to have put more truth and untruth together in few words, than in that speech, Whatsoever is delighted in solitude is either a wild beast or a god. For it is most true that a natural and secret hatred and aversation towards society in any man, hath somewhat of the savage beast; but it is most untrue that it should have any character at all of the divine nature; except it proceed, not out of a pleasure in soltitude, but out of a love and desire to sequester a man’s self for a higher conversation: 2 such as is found to have been falsely and feignedly in some of the heathen; as Epimenides the Candian, Numa the Roman, Empedocles the Sicilian, and Apollonius of Tyana; and truly and really in divers of the ancient hermits and holy fathers of the church. But little do men perceive what solitude is, and how far it extendeth. For a crowd is not company; and faces are but a gallery of pictures; and talk but a tinkling cymbal, where there is no love. The Latin adage meeteth with it a little: Magna civitas, magna solitudo [A great town is a great solitude]; because in a great town friends are scattered; so that there is not that fellowship, for the most part, which is in less neighborhoods. But we may go further, and affirm most truly that it is a mere and miserable solitude to want true friends; without which the world is but a wilderness; and even in this sense also of solitude, whosoever in the frame of his nature and affections is unfit for friendship, he taketh it of the beast, and not from humanity. A principal fruit of friendship is the ease and discharge of the fulness and swellings of the heart, which passions of all kinds do cause and induce. We know diseases of stoppings and suffocations are the most dangerous in the body; and it is not much otherwise in the mind; you may take sarza 3 to open the liver, steel to open the spleen, flowers of sulphur for the lungs, castoreum for the brain; but no receipt openeth the heart, but a true friend; to whom you may impart griefs, joys, fears, hopes, suspicions, counsels, and whatsoever lieth upon the heart to oppress it, in a kind of civil shrift or confession. It is a strange thing to observe how high a rate great kings and monarchs do set upon this fruit of friendship whereof we speak: so great, as they purchase it many times at the hazard of their own safety and greatness. For princes, in regard of the distance of their fortune from that of their subjects and servants, cannot gather this fruit, except (to make themselves capable thereof) they raise some persons to be as it were companions and almost equals to themselves, which many times sorteth to inconvenience. The modern languages give unto such persons the name of favorites, or privadoes; as if it were matter of grace, or conversation. But the Roman name attaineth the true use and cause thereof, naming them participes curarum [partners of cares]; for it is that which tieth the knot. And we see plainly that this hath been done, not by weak and passionate princes only, but by the wisest and most politic that ever reigned; who have oftentimes joined to themselves some of their servants; whom both themselves have called friends, and allowed others likewise to call them in the same manner; using the word which is received between private men. L. Sylla, when he commanded Rome, raised Pompey (after surnamed the Great) to that height, that Pompey vaunted himself for Sylla’s over-match. For when he had carried the consulship for a friend of his, against the pursuit of Sylla, and that Sylla did a little resent thereat, and began to speak great, Pompey turned upon him again, and in effect bade him be quiet; for that more men adored the sun rising than the sun setting. With Julius Cæsar, Decimus Brutus had obtained that interest, as he set him down in his testament for heir in remainder after his nephew. And this was the man that had power with him to draw him forth to his death. For when Cæsar would have discharged the senate, in regard of some ill presages, and specially a dream of Calpurnia; this man lifted him gently by the arm out of his chair, telling him he hoped he would not dismiss the senate till his wife had dreamt a better dream. And it seemeth his favor was so great, as Antonius, in a letter which is recited verbatim in one of Cicero’s Philippics, calleth him venefica, witch; as if he had enchanted Cæsar. Augustus raised Agrippa (though of mean birth) to that height, as when he consulted with Mæcenas about the marriage of his daughter Julia, Mæcenas took the liberty to tell him, that he must either marry his daughter to Agrippa, or take away his life; there was no third way, he had made him so great. With Tiberius Cæsar, Sejanus had ascended to that height, as they two were termed and reckoned as a pair of friends. Tiberius in a letter to him saith, Hæc pro amicitiâ nostrâ non occultavi [These things, as our friendship required, I have not concealed from you]; and the whole senate dedicated an altar to Friendship, as to a goddess, in respect of the great dearness of friendship between them two. The like or more was between Septimius Severus and Plautianus. For he forced his eldest son to marry the daughter of Plautianus; and would often maintain Plautianus in doing affronts to his son; and did write also in a letter to the senate, by these words: I love the man so well, as I wish he may over-live me. Now if these princes had been as a Trajan or a Marcus Aurelius, a man might have thought that this had proceeded of an abundant goodness of nature; but being men so wise, of such strength and severity of mind, and so extreme lovers of themselves, as all these were, it proveth most plainly that they found their own felicity (though as great as ever happened to mortal men) but as an half piece, 4 except they mought have a friend to make it entire; and yet, which is more, they were princes that had wives, sons, nephews; and yet all these could not supply the comfort of friendship. It is not to be forgotten what Comineus observeth of his first master, Duke Charles the Hardy; namely, that he would communicate his secrets with none; and least off all, those secrets which troubled him most. Whereupon he goeth on and saith that towards his latter time that closeness 5 did impair and a little perish his understanding. Surely Comineus mought have made the same judgment also, if it had pleased him, of his second master, Lewis the Eleventh, whose closeness was indeed his tormentor. The parable 6 of Pythagoras is dark, but true; Cor ne edito; Eat not the heart. Certainly, if a man would give it a hard phrase, those that want friends to open themselves unto are cannibals of their own hearts. But one thing is most admirable (wherewith I will conclude this first fruit of friendship), which is, that this communicating of a man’s self to his friend works two contrary effects; for it redoubleth joys, and cutteth griefs in halves. For there is no man that imparteth his joys to his friend, but he joyeth the more; and no man that imparteth his griefs to his friend, but he grieveth the less. So that it is in truth of operation upon a man’s mind, of like virtue as the alchemists use to attribute to their stone 7 for man’s body; that it worketh all contrary effects, but still to the good and benefit of nature. But yet without praying in aid of alchemists, there is a manifest image of this in the ordinary course of nature. For in bodies, union strengthened and cherisheth any natural action; and on the other side weakeneth and dulleth any violent impression: and even so it is of minds. Add now, to make this second fruit of friendship complete, that other point which lieth more open and falleth within vulgar observation; which is faithful counsel from a friend. Heraclitus saith well in one of his enigmas, Dry light is ever the best. And certain it is, that the light that a man receiveth by counsel from another is drier and purer than that which cometh from his own understanding and judgment; which is ever infused and drenched in his affections and customs. So as there is as much difference between the counsel that a friend giveth, and that a man giveth himself, as there is between the counsel of a friend and of a flatterer. For there is no such flatterer as is a man’s self; and there is no such remedy against flattery of a man’s self as the liberty of a friend. Counsel is of two sorts: the one concerning manners, the other concerning business. For the first, the best preservative to keep the mind in health is the faithful admonition of a friend. The calling of a man’s self to a strict account is a medicine, sometime, too piercing and corrosive. Reading good books of morality is a little flat and dead. Observing our faults in others is sometimes improper for our case. But the best receipt (best, I say, to work, and best to take) is the admonition of a friend. It is a strange thing to behold what gross errors and extreme absurdities many (especially of the greater sort) do commit, for want of a friend to tell them of them; to the great damage both of their fame and fortune: for, as St. James saith, they are as men that look sometimes into a glass, and presently forget their own shape and favor. As for business, a man may think, if he will, that two eyes see no more than one; or that a gamester seeth always more than a looker-on; or that a man in anger is as wise as he that hath said over the four and twenty letters; or that a musket may be shot off as well upon the arm as upon a rest; and such other fond and high imaginations, to think himself all in all. But when all is done, the help of good counsel is that which setteth business straight. And if any man think that he will take counsel, but it shall be by pieces; asking counsel in one business of one man, and in another business of another man; it is well (that is to say, better perhaps than if he asked none at all); but he runneth two dangers: one, that he shall not be faithfully counselled; for it is a rare thing, except it be from a perfect and entire friend, to have counsel given, but such as shall be bowed and crooked to some ends which he hath that giveth it. The other, that he shall have counsel given, hurtful and unsafe (though with good meaning), and mixed partly of mischief and partly of remedy; even as if you would call a physician that is thought good for the cure of the disease you complain of, but is unacquainted with your body; and therefore may put you in way for a present cure, but overthroweth your health in some other kind; and so cure the disease and kill the patient. But a friend that is wholly acquainted with a man’s estate will beware, by furthering any present business, how he dasheth upon other inconvenience. And therefore rest not upon scattered counsels; they will rather distract and mislead, than settle and direct. After these two noble fruits of friendship (peace in the affections, and support of the judgment), followeth the last fruit; which is like the pomegranate, full of many kernels; I mean aid and bearing a part in all actions and occasions. Here the best way to represent to life the manifold use of friendship is to cast and see how many things there are which a man cannot do himself; and then it will appear that it was a sparing speech of the ancients, to say, that a friend is another himself; for that a friend is far more than himself. Men have their time, and die many times in desire of some things which they principally take to heart; the bestowing 10 of a child, the finishing of a work, or the like. If a man have a true friend, he may rest almost secure that the care of those things will continue after him. So that a man hath, as it were, two lives in his desires. A man hath a body, and that body is confined to a place; but where friendship is, all offices of life are as it were granted to him and his deputy. For he may exercise them by his friend. How many things are there which a man cannot, with any face or comeliness, say or do himself? A man can scarce allege his own merits with modesty, much less extol them; a man cannot sometimes brook to supplicate or beg; and a number of the like. But all these things are graceful in a friend’s mouth, which are blushing in a man’s own. So again, a man’s person hath many proper relations which he cannot put off. A man cannot speak to his son but as a father; to his wife but as a husband; to his enemy but upon terms: whereas a friend may speak as the case requires, and not as it sorteth with the person. But to enumerate these things were endless; I have given the rule, where a man cannot fitly play his own part; if he have not a friend, he may quit the stage. Note 4. Coin cut in two. Note 10. Settling in life. RICHES are for spending, and spending for honor and good actions. Therefore extraordinary expense must be limited by the worth of the occasion; for voluntary undoing may be as well for a man’s country as for the kingdom of heaven. But ordinary expense ought to be limited by a man’s estate; and governed with such regard, as it be within his compass; and not subject to deceit and abuse 1 of servants; and ordered to the best show, that the bills may be less than the estimation abroad. Certainly, if a man will keep but of even hand, his ordinary expenses ought to be but to the half of his receipts; and if he think to wax rich, but to the third part. It is no baseness for the greatest to descend and look into their own estate. Some forbear it, not upon negligence alone, but doubting to bring themselves into melancholy, in respect they shall find it broken. 2 But wounds cannot be cured without searching. He that cannot look into his own estate at all, had need both choose well those whom he employeth, and change them often; for new are more timorous and less subtle. He that can look into his estate but seldom, it behooveth him to turn all to certainties. A man had need, if he be plentiful in some kind of expense, to be as saving again in some other. As if he be plentiful in diet, to be saving in apparel; if he be plentiful in the hall, to be saving in the stable; and the like. For he that is plentiful in expenses of all kinds will hardly be preserved from decay. In clearing of a man’s estate, he may as well hurt himself in being too sudden, as in letting it run on too long. For hasty selling is commonly as disadvantageable as interest. Besides, he that clears at once will relapse; for finding himself out of straits, he will revert to his customs: but he that cleareth by degrees induceth a habit of frugality, and gaineth as well upon his mind as upon his estate. Certainly, who hath a state to repair, may not despise small things; and commonly it is less dishonorable to abridge petty charges, than to stoop to petty gettings. A man ought warily to begin charges which once begun will continue; but in matters that return not he may be more magnificent.